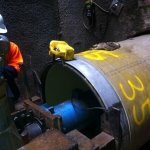 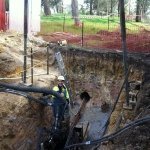 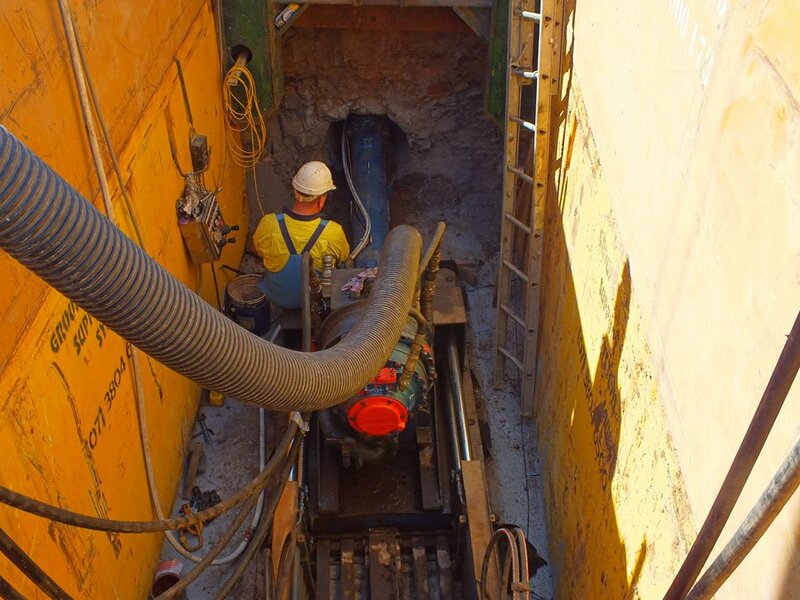 All types of pipes are able to be installed with our system including upvc and poly pipe for fast and efficient installation or Hobas Jacking Pipes, Humes or Rocla Concrete Jacking Pipes or a steel sleeve can be used for larger bores which require continuous ground support. 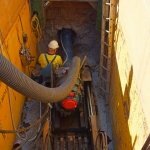 In cohesive, stable clays, mudstone and rock, free boring is the most economical way for the installation of services as conventional pipes can be inserted into the bore. 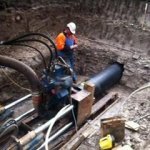 From our perspective, these are generally the simplest, as the bore self supports. 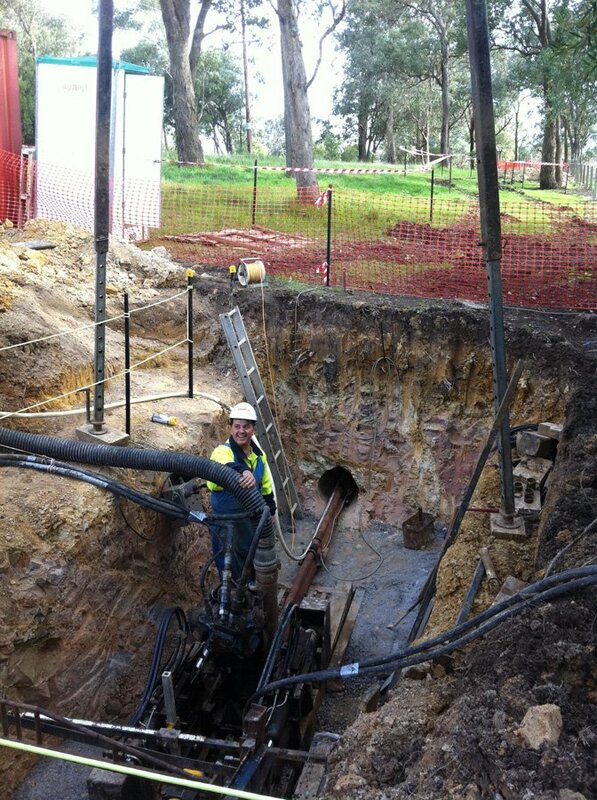 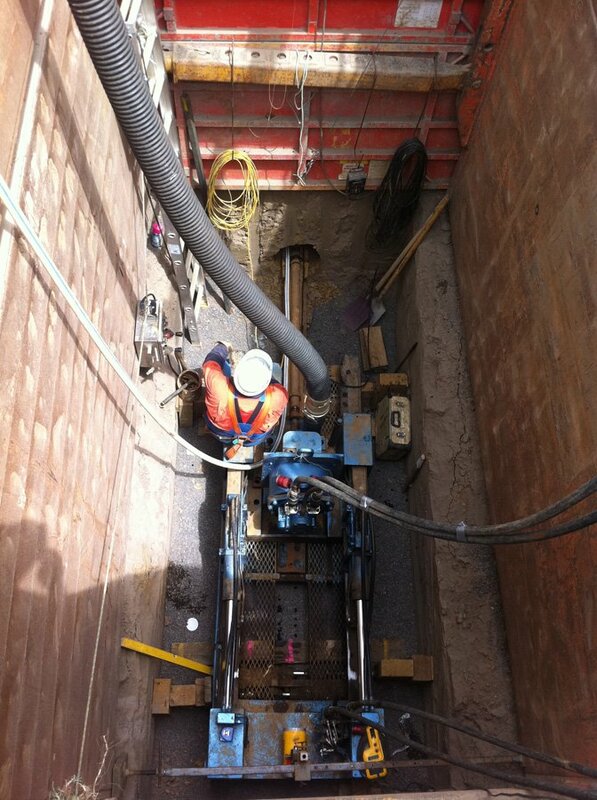 Jacking pipes or a steel sleeve can still be inserted but not required for continuous ground support. 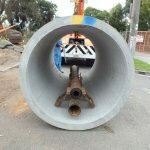 This term is generally used when the outer pipe is steel and another pipe is to be later inserted into it to act as the carrier pipe. 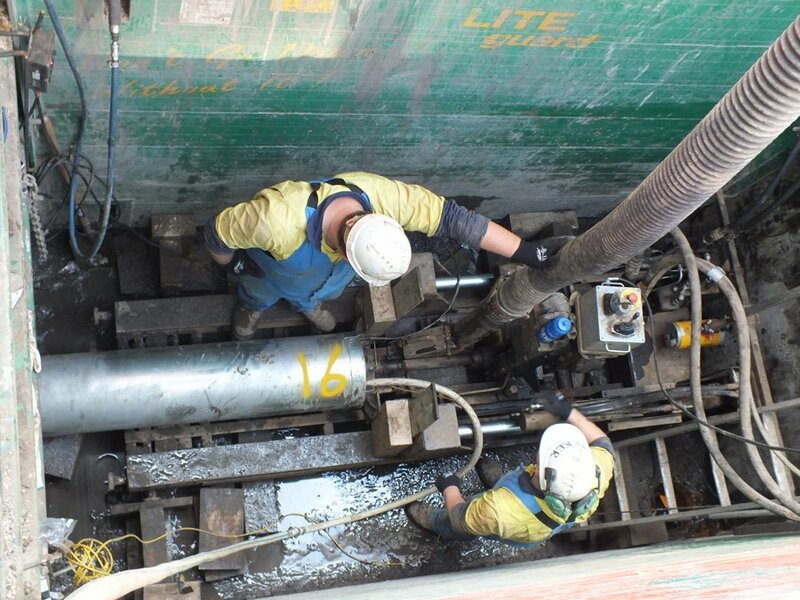 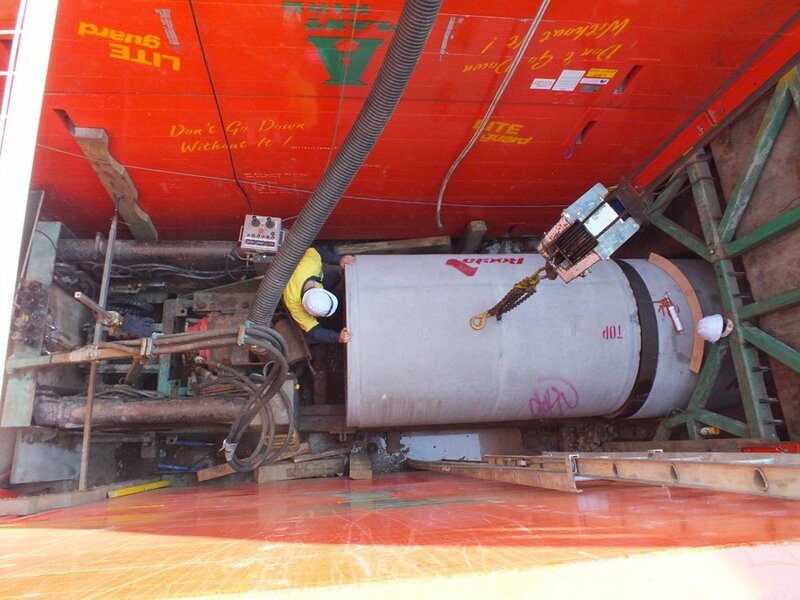 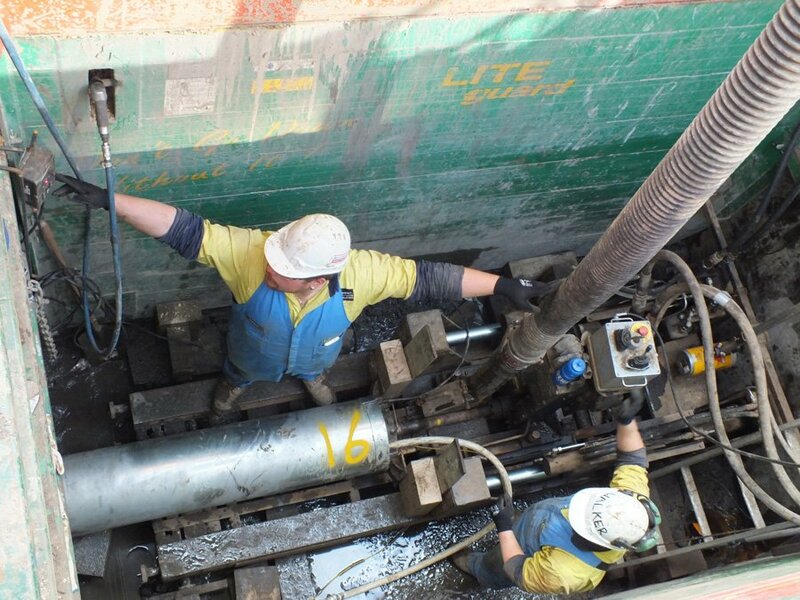 This method allows for the steel sleeve to be inserted directly behind the drilling head for continuous ground support. 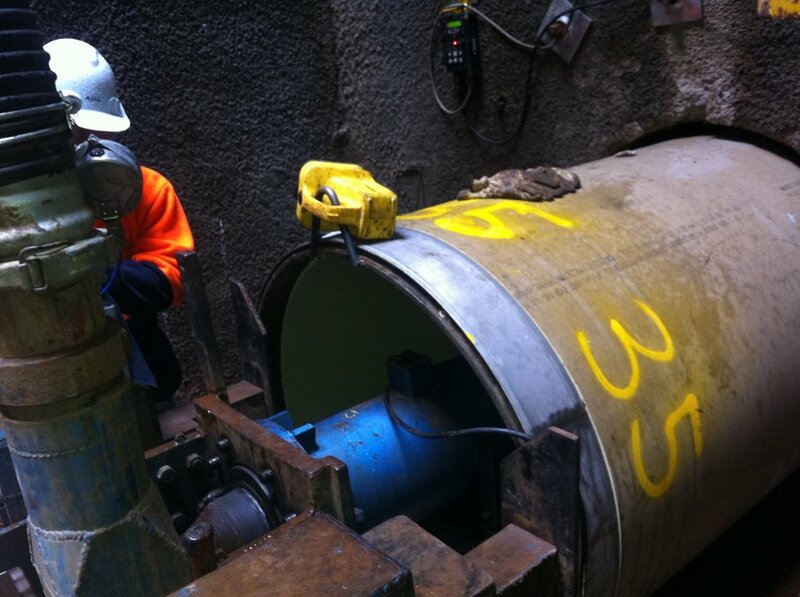 Sleeves are used when encountering unstable ground conditions or when boring under major roads and rail crossings. 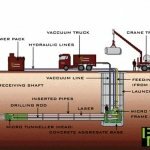 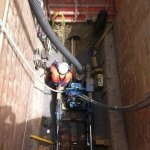 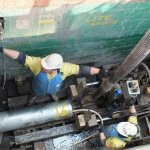 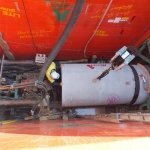 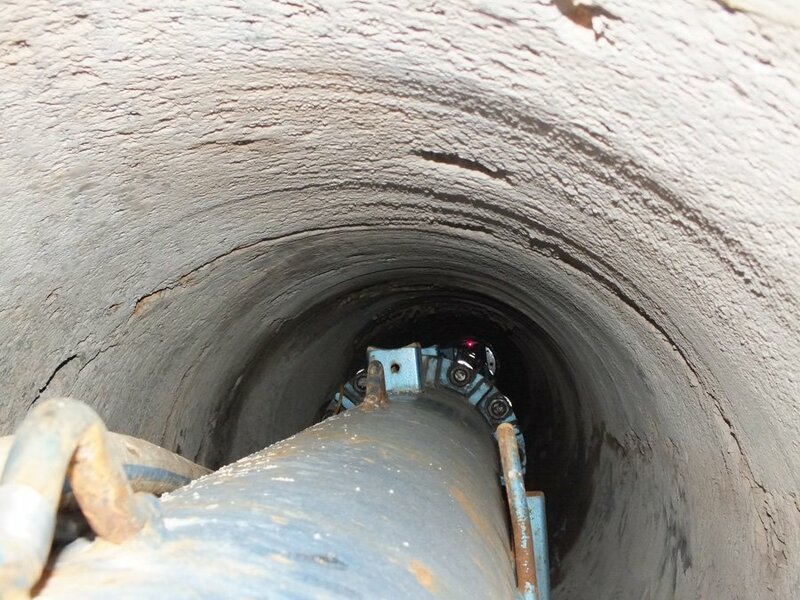 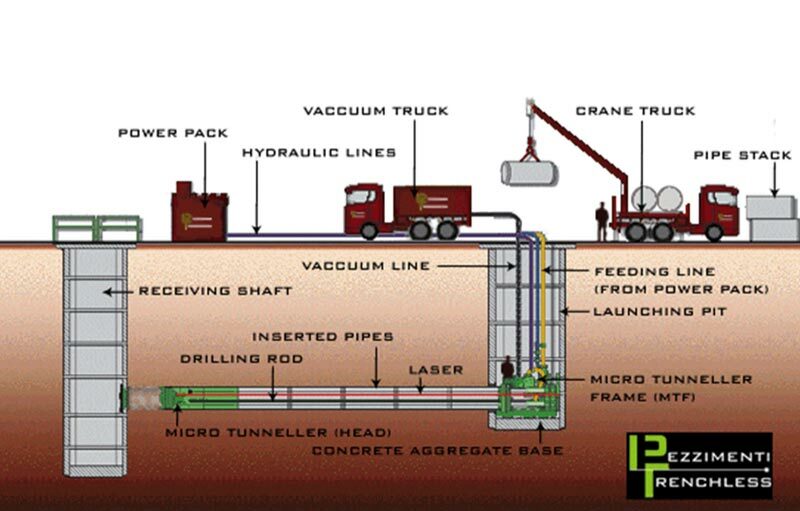 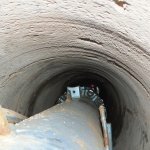 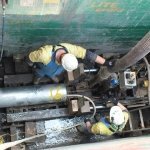 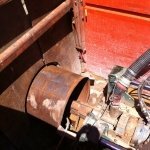 Pipe Jacking is generally used to describe the process where the pipe which is inserted behind the drilling head is to be both the outer pipe for ground support and the carrier pipe. 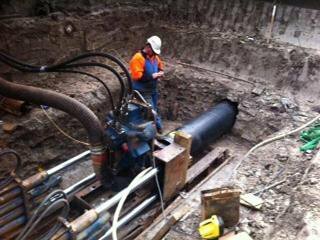 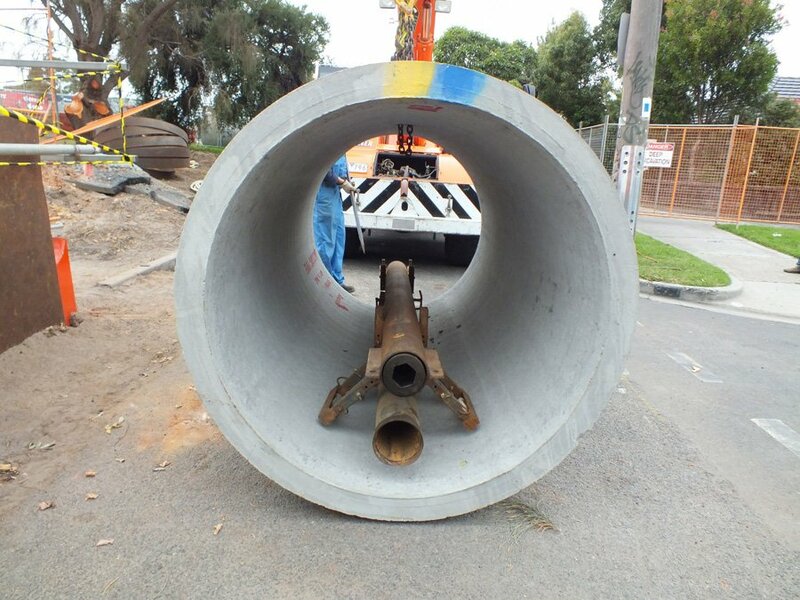 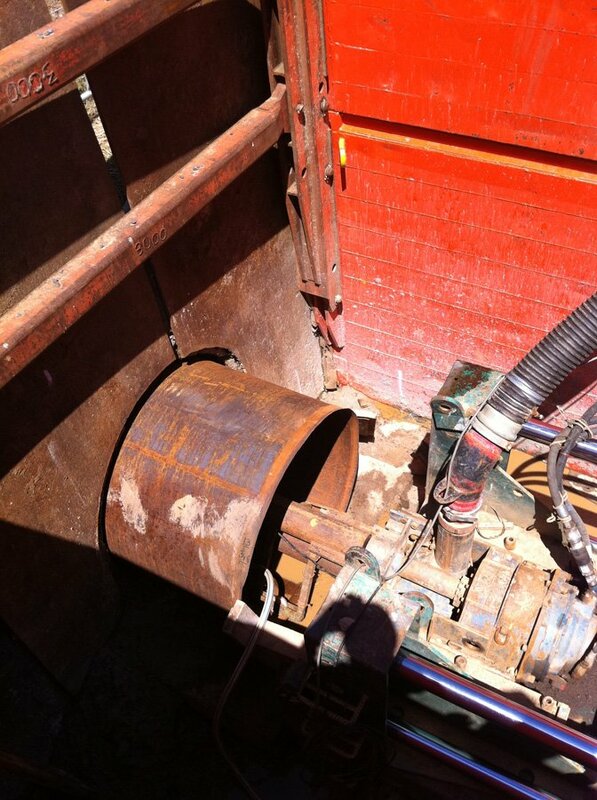 The jacking pipe is generally a Humes or Rocla reinforced concrete jacking pipe or a Hobas GRP jacking pipe.